After a non-stop flight to Montreal and a three-hour drive to Quebec City, I was fairly exhausted when I arrived late on Saturday night - I had every intention of relaxing during the evening, until I was contacted by a friend who asked if I wanted to meet up at a bar. 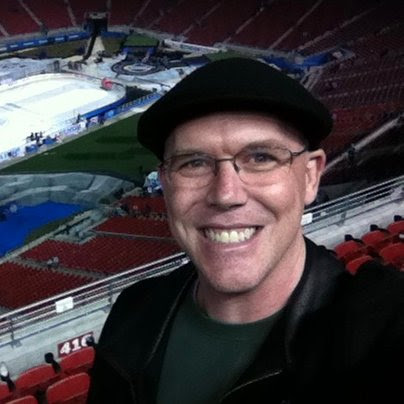 But it wasn't just anybody, it was Jeff Marek, the fantastic sportscaster who would be covering the Memorial Cup tournament for Sportsnet. We had exchanged messages on Twitter earlier in the spring, and he told me to look him up when I made it to Quebec - now I was on my way to Pub St-Alexandre in the historic downtown district. Jeff was still working on his postgame broadcast, so I had plenty of time to kill while I waited - it was refreshing to see hockey games on every TV inside, and one of the locals even offered to buy me a drink after he saw me sitting alone for such a long time. Soon enough, Jeff arrived along with fellow Sportsnet host John Shannon, as well as two more wonderful hockey fans from Ontario - Carroll and Kat (I've since visited both of them on separate road trips) - and the five of us spent the next couple of hours talking hockey while listening to some live music. It was a great way to kick off the trip! GAME TIME AT THE "FORTRESS OF HOCKEY"
The first of my three games would take place the following afternoon, as the Remparts would face off against the OHL Champion Oshawa Generals in a Sunday matinee. 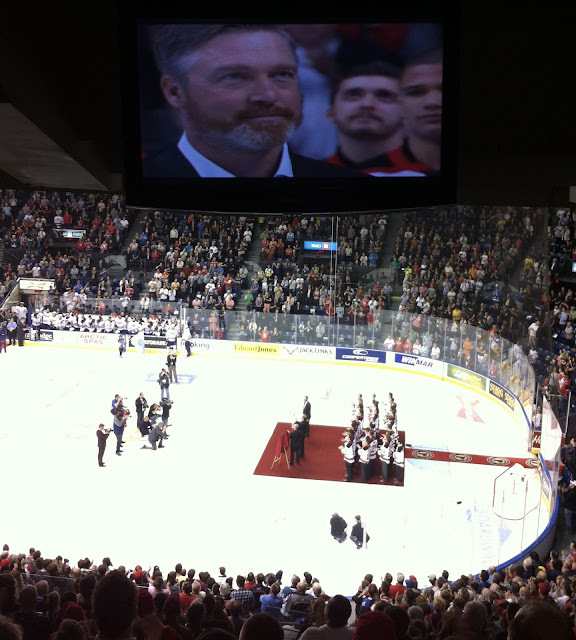 The pre-game festivities were top notch, with a tribute to the members of the military, as well as a ceremony to honor the Remparts team that won the Memorial Cup in 2006. After an intermission period which seemingly lasted forever, I was treated to some of the most exciting hockey I'd ever seen: 18 minutes of non-stop action, with the crowd holding their collective breath at every moment. 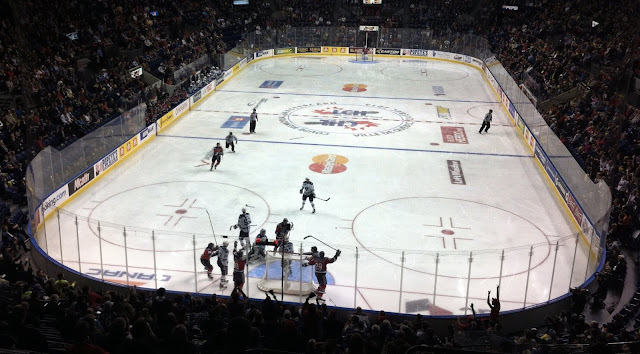 Though the air would come out of the room slightly when Oshawa scored the game-winner, we all knew we'd witnessed something special, and I couldn't wait to come back the next day. 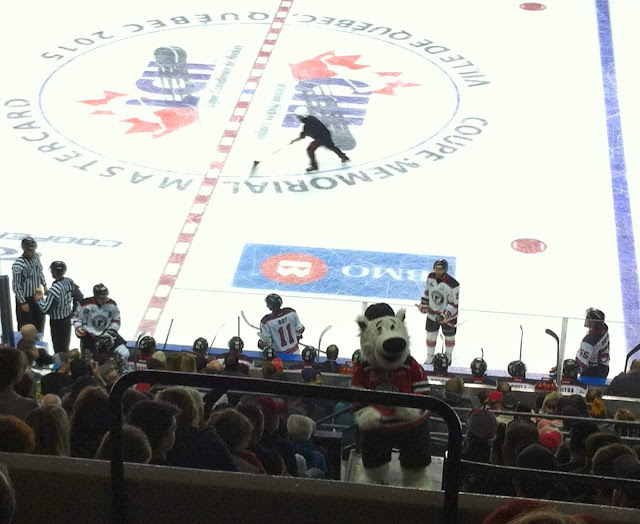 Champion, the Remparts mascot, was one of the best I've seen at working a crowd! 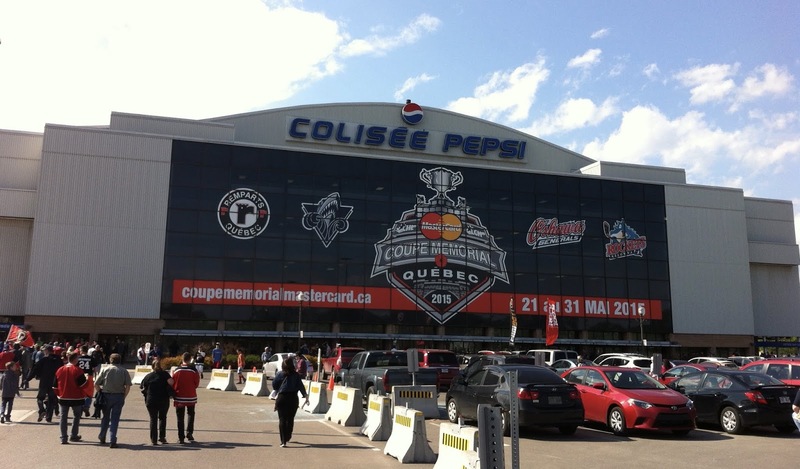 I quickly discovered that much of the buzz in the arena on Sunday had been due to fans cheering on their home team - the Memorial Day matchup between QMJHL Champion Rimouski Oceanic and the WHL's Kelowna Rockets was not nearly as action-packed, and the upper deck of the Le Colisee was closed off due to the smaller attendance. Nevertheless, I managed to see as much of the building as possible while also getting to watch a very fun game. Rimouski was no match for the high-powered Kelowna offense, as they managed to pump SEVEN goals past the Oceanic goalies. Highly-touted Edmonton Oilers prospect Leon Draisaitl would lead the way, scoring twice and assisting on another, giving the Rockets their first win of the tournament. 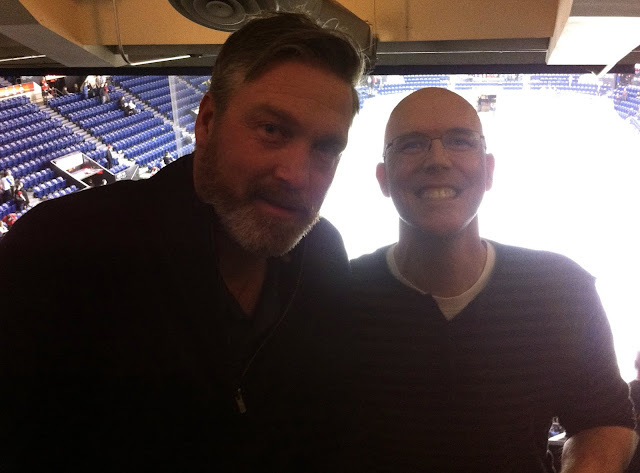 The best part of the night was seeing Hall of Fame goaltender Patrick Roy sitting in a luxury suite directly behind me. The one-time coach and general manager of the Remparts, Roy was now serving as head coach of the Colorado Avalanche, and was in attendance for nearly every game of the Memorial Cup. After nervously trying to come up with a plan to introduce myself throughout the evening, I finally found the time to say hello once the game had completed - and he couldn't have been nicer! 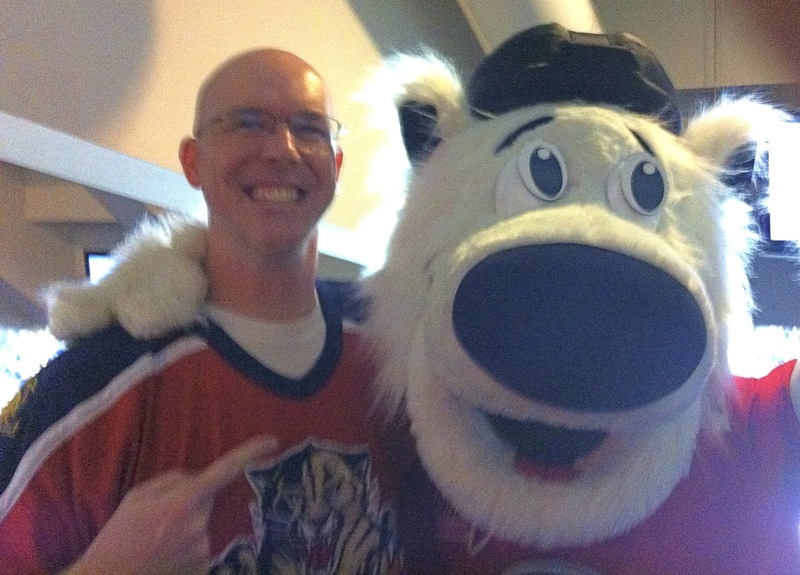 Of course, my trip wouldn't be complete without getting a picture with the mascot (CHAMPION!!!) 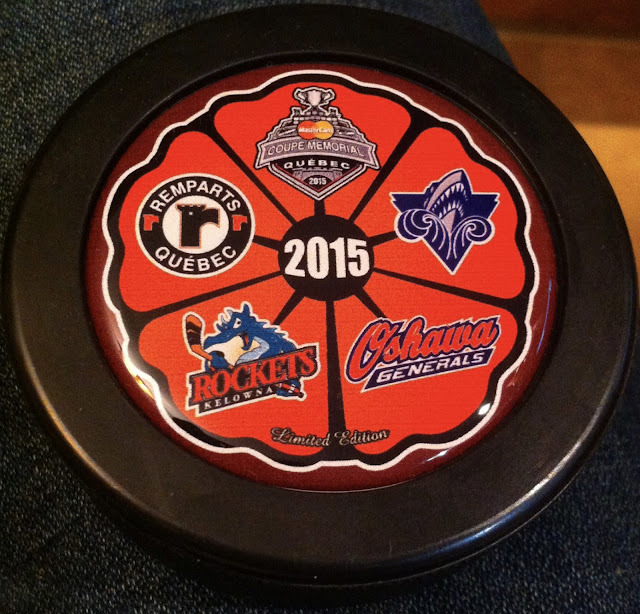 and buying some cool memorabilia - in this case, a sweet puck with a "poppy" design, featuring the logos of the participating teams. A majestic waterfall located just outside the city limits, Montmorency Falls was the perfect way to kick off my exploration. I walked around the grounds for several hours, crossing a long suspension bridge, descending a giant staircase and taking pictures from as many angles as I could. 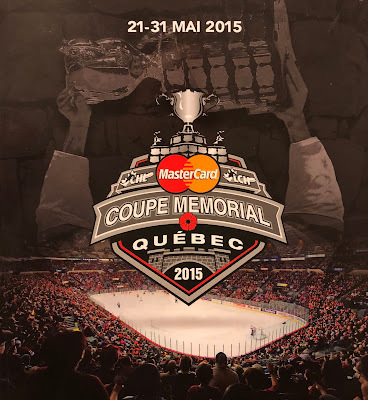 Every trip to Quebec City HAS to include a visit to the historic downtown district known as "Old Quebec". Situated atop Cap Diamant for hundreds of years, the area honors its military history by preserving some of the cannons surrounding the fortress overlooking the St. Lawrence River. Tourism reigns supreme, due to the centuries-old architecture and cobblestone paths that line the streets. 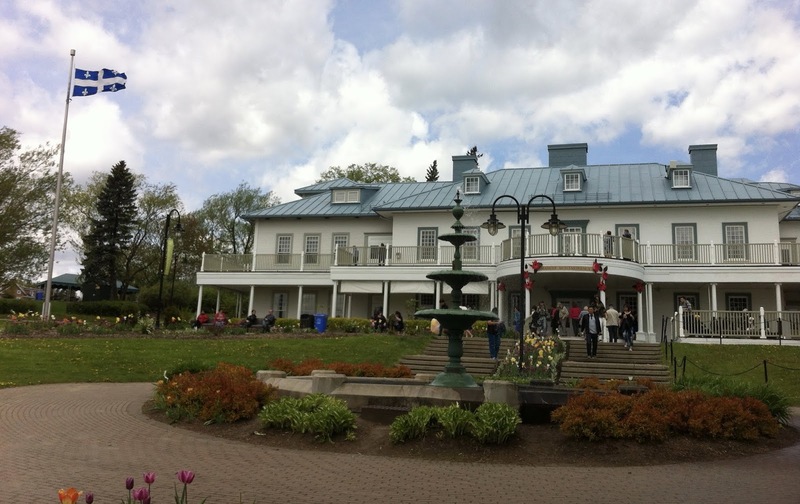 After more than a decade of living and working in the bustling city of Los Angeles, I used this vacation as a way to relax and de-stress: unwinding at a beautiful national park on my final day in Quebec was perfectly ideal. I became one with nature as I spent nearly a full day hiking through the winding trails, and relaxing at the various scenic overlooks. 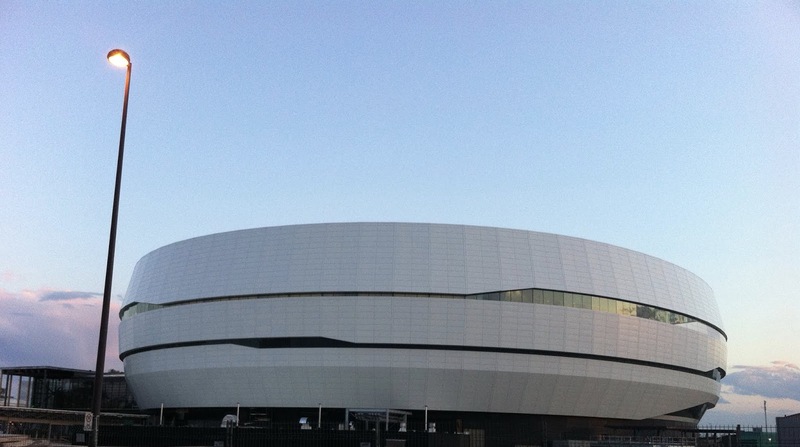 In September, a virtual "passing of the torch" would take place, as Metallica played back-to-back concerts in the city: the first night was the final event held at Le Colisee, and the second night was the first-ever concert at Videotron Centre. But what does the future hold? 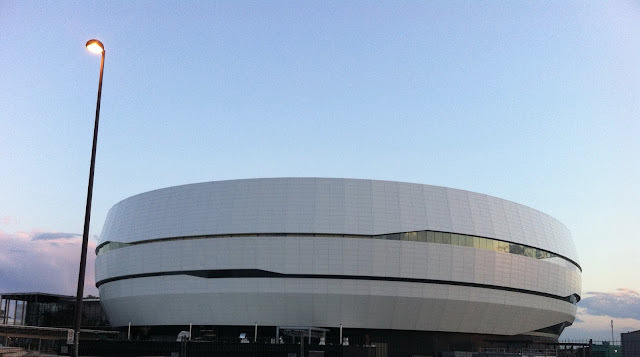 It was a real treat to see high-level hockey at the grand old building, but now I need to make plans for a return visit in order to see the new arena up close. At least it looks pretty cool from the outside!